WHAT IS 'CYCLE ACROSS UNOVA'? A week-long, TV-hour biking documentary taking a cinematic journey through the real-life world of Pokémon. Every main series game in the Pokémon franchise has a fictional land for us to explore, all of which were inspired by locations here on Earth. The fifth title, Pokémon Black & White, took place in a region called Unova, a land nearly identical to New York City and its surrounding areas. We want to be the first to take a professional, in-depth look into how these cities, parks, and towns inspired the layouts of the games we've come to love. We’re a group of cinematographers, animators, and storytellers and we want to take you on this adventure. Not just a tour from location to location, but a real, documented, down-and-dirty, week-long adventure biking down every route to learn about New York's histories, to talk with its people, and to share this experience with everyone. We'd like for seasoned Pokémon fans to rediscover their childhood in a way unlike any other. Let’s take a cinematic journey through the real-life world of Pokémon. 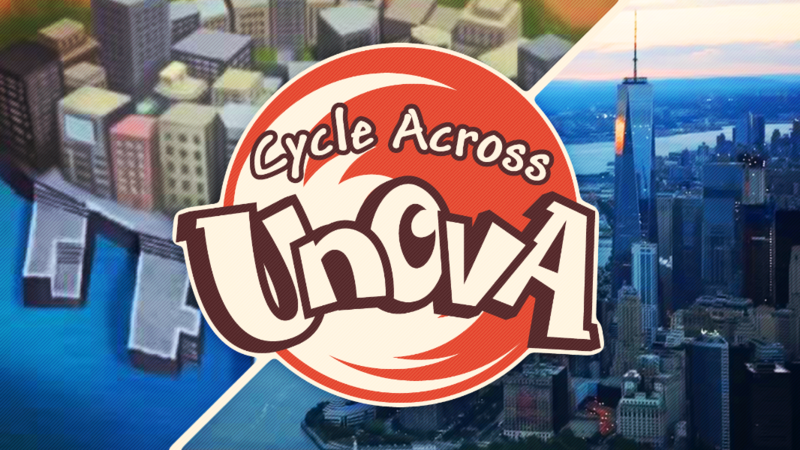 Let's 'Cycle Across Unova'! ...IS THIS JUST A PAID VACATION? Produced by Gravity Dog Productions. 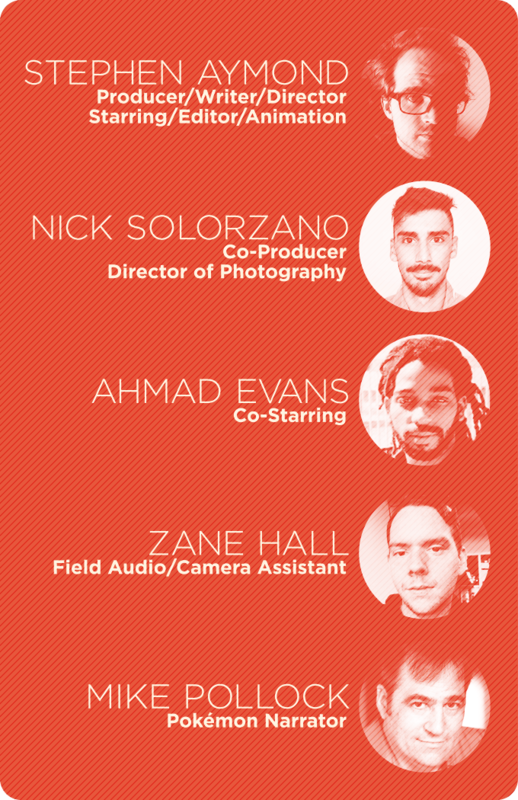 Gravity Dog Productions is Nick Solorzano, Stephen Aymond, Ahmad Evans, and Zane Hall. Joining us is the current narrator of the Pokémon series, Mike Pollock. MoonDragon will be contributing its musical talents to the film's soundtrack. 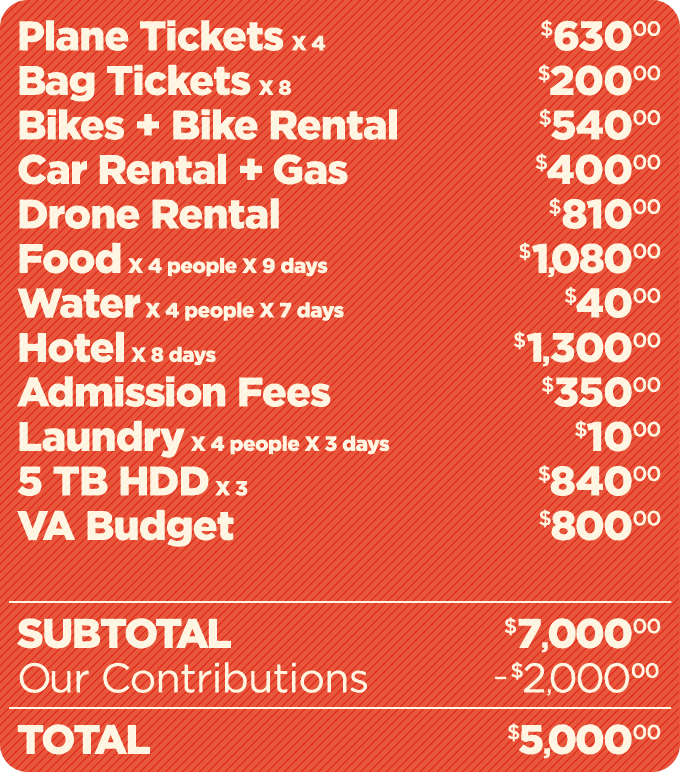 As experienced filmmakers, adventurers, and cyclists, you'll be hard pressed to find a team more equipped than ours to take on this challenge. From trading cards and comics to the toys and animated series, we’ve loved Pokémon from its beginning. No one wants more than us to rediscover the world of their childhood. We're estimating a delivery date to backers-only on November 2018. The rest of the world will have to wait until early 2019. January 22nd to April 16th of 2018 will be spent in pre-production mode (writing and making travel arrangements). The production itself (filming) will take 9 days from April 17th to April 24th. Post-production (editing, graphics, animation, and audio mixing) will take the remainder of that time until November. Backer rewards will be sent out through these last few months as well. After the film's release to backers, we'll spend the next few months showcasing it at film festivals and then releasing it to the public shortly after in early 2019. $19k - Translated subtitles for Traditional Chinese (正體字/繁體字), Spanish (Español), Hindi (हिंदी), Arabic (عربى), French (Français), Bengali (bɛŋˈɡɔ), Portuguese (Português), Russian (ру́сский язы́к), German (Deutsch), Japanese (日本語), and Korean (한국어). ...Did we spell any of those wrong? We're not sure! That's why we need translators! $24k - Black & White 2! We'll increase our itinerary by 4 days to capture the additional locations added in Pokémon Black & White's sequel! Anything can happen during our 6 months of production, but we know how to protect ourselves. Yes, accidents to equipment and to the crew can happen, but that’s what we have several insurances for. Losing footage is also an available risk, so we're backing up all footage onto 15 terabytes of robust raided hard drives ON SITE each day. 1) Unlike our campaign video, we will restrict our references of Pokémon and Nintendo related intellectual properties to verbal references only in the finished piece (no showing of logos, characters, official art, copyrighted music, etc.). 2) We won't sell any product that has copyrighted material in it. We will release this film for free. We use the funds fully to support this project so that we are not to net a profit from its success. We'll release this film for free to festivals, online, and early to backers. We have the experience and we're well prepared for the possible dangers that lie out there in the grass and caves, including Team Plasma. Includes the Backer Credit reward. Own a digital download of the film's soundtrack. Includes the Backer Credit reward! Own the film on Blu-Ray months before it before it goes public online! Includes the Backer Credit & Blu-Ray rewards. Own a Blu-Ray of the film and its soundtrack months before it goes public! Includes the Backer Credit & Movie + ST rewards. You'll get a high-res digital file for a 24" x 36" 300 dpi poster which you can print at any print shop! Includes the Backer Credit, Movie + ST, & Digital Poster rewards. Own a signed one-of-a-kind T-shirt with the film's logo in any size! Includes the Backer Credit, Movie + ST, & Digital Poster rewards. Own a signed poster of the film's logo and artwork! Includes Backer Credit, Movie + ST, & Digital Poster rewards. Get 20 minutes to hang out live with the crew at the end of each day during the week-long journey! Includes Backer Credit, Movie + ST, & Digital Poster rewards. Write two (non-offensive) sentences that'll show up in the film! Includes Backer Credit, Movie + ST, & Digital Poster rewards. Own a very limited Blu-Ray copy of the film, complete with the DX and BTS! Includes Backer Credit, Movie + ST, Digital Poster, & Blu-Ray & DVD rewards. Your name'll show up as Executive Producer before anyone else's in the intro/outro.